I figured since I started with the whole "week by week" theme I might as well just keep rolling with it. I'm horrible with surprises, at least keeping my own surprises. I planned on taking a weekly picture and keeping it a secret until the very end and then putting up 10 cute little rows of four pictures each showing the progression... but... I just couldn't keep them to myself. I was pretty certain that this week the bump would look smaller. I lost a lot of weight from the horrible virus GI thing that struck the house. 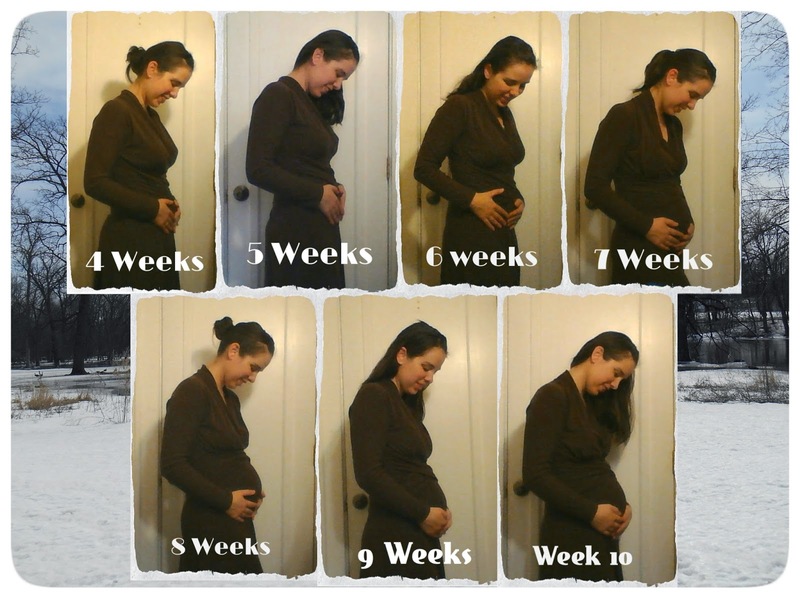 I am currently the same weight as I was in the picture in Week #4. But the bump?